These silicone treatment sheets are thought to promote scar healing without the need for invasive procedures such as surgical removal. The technology helps restore raised and discolored scars to a more natural color and texture. 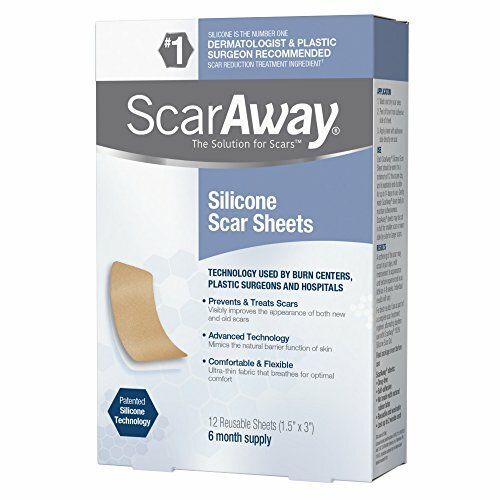 Scar Away contains 12 reusable 1.5″ X 3″ silicone scar treatment sheets promoting skin hydration and tissue rejuvenation. These silicone sheets are specially designed to successfully cover the affected areas (they should be applied side-by-side for larger scars). 2 Are ScarAway Sheets Good? 5 Do ScarAway Sheets really work? 7 How much do ScarAway Sheets cost? 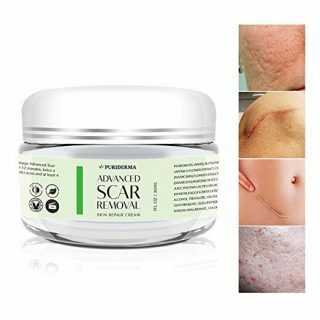 These Silicone Scar Sheets are designed to improve the appearance of existing scars and prevent the formation of new ones. 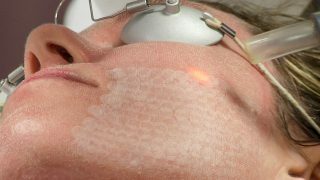 Their actual purpose is to shrink, flatten and fade hypertrophic and keloid scars, making them softer in just a few day. 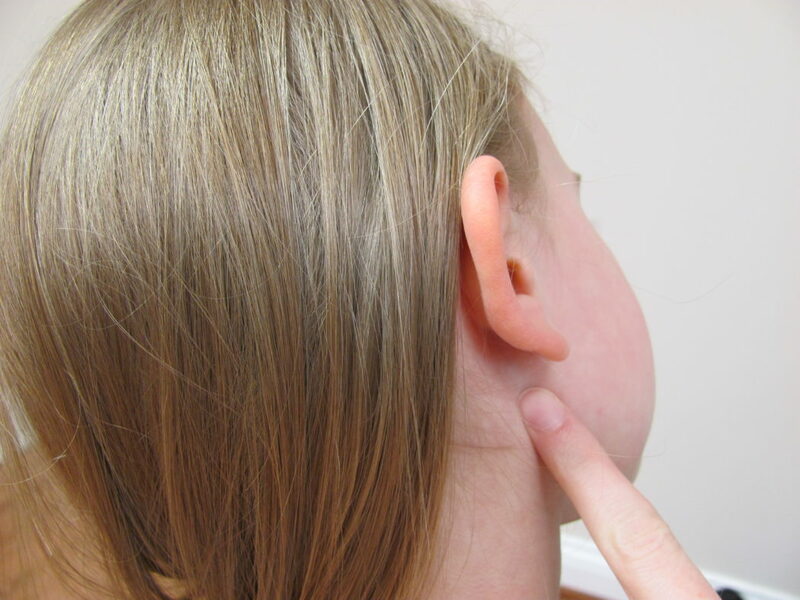 Visible reduction of the scar tissue can be expected within several weeks. The only thing you must remember is that the sheets could be applied once the skin has healed. ScarAway sheets are made of a unique blend of silicone and Teflon® (PTFE), resulting in very thin sheets of soft & tacky silicone with significantly enhanced physical strength. *The ScarAway Sheets are latex-free, as latex may provoke severe allergic reactions including immediate itching, redness, and swelling of the skin that touched the item containing this material. You should never apply these products on open wounds or unhealed or fragile skin. They can be only applied to preventing scars from forming on newly healed wounds. First, you should wash and dry the affected area. Each sheet is lined on one side with Silicone – this side should be applied to the affected area. The other side is lined with silky smooth fabric. Note that many scars may never disappear completely nor should you expect immediate results from the treatment! 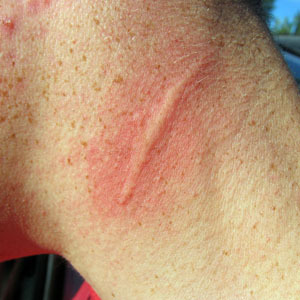 If any sort of allergic reaction (rash, itching, burning sensation) occurs, discontinue the application of the product. It is highly recommended to consult your dermatologist in case of a negative skin reaction. Do ScarAway Sheets really work? The Online performance of ScarAway Sheets can be considered average since there are many customers who ranked the product 4,3 and 2-stars. Note that most of the customers did so because they did not obtain 100% effect of the treatment and their scars did not disappear completely. I went to see a plastic surgery he told me he would not be able to fix my face, retur after a year, Thanks to Lord Jesus Christ who has answered my prayer through this silicone pad my face it’s getting better. Strips are re-usable and we can see a noticeable difference after 1 week. The appearance and color of the scar has decreased. The height and thickness of the scar has decreased. This item feels like cushion against scar and it stays pretty well. 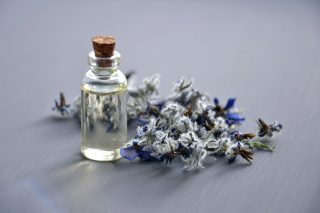 The pricking sensations and irritation ceased right away. It does appear less angry-red color, more pink. No changes in 3 months of use. ; I used it on a scar I had from high school and followed the directions to the tee, nothing changed. How much do ScarAway Sheets cost? The price of this product seems acceptable, having that products aiming to reduce the appearance of scars usually cost more than the ScarAway Sheets. You can purchase the product from your local drug store or from an Online retailer (you may also find coupons on the Internet). ScarAway Silicone Treatment Sheets are not what you need? In case you consider this product overrated, you are afraid it may provoke allergic reactions, do not like the ingredients it contains or the price is too high for you, there are plenty other options, which are also designed for scar removal. We at SkinPractice care for you and would like to help improve the condition of your skin. This is why we included listing alternatives so you can choose the product that best meets your current needs. Everyone's skin is unique, and even if you have chosen the best product for your skin condition, the containing ingredients may still cause some irritation, burning sensation, rash or allergy. Monika is the Editor-in-Chief at SkinPractice. She is a skin care addict and researcher, who feels strongly about helping people with different dermatology conditions from alopecia to warts. You can read her recommendations and advice both here at SkinPractice or at Quora where she answers skincare-related questions frequently and is the most viewed author in the Skincare category with more than 3 million views or follow her on LinkedIn. 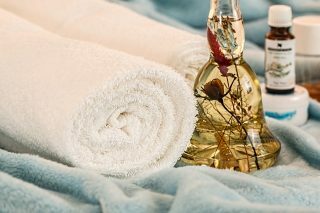 She is also a certified skin care specialist with certification from the Medical College in Sofia.